Afternoon my loves, I just thought I would do a mini haul on a few bits and bobs that I purchased the other day :). 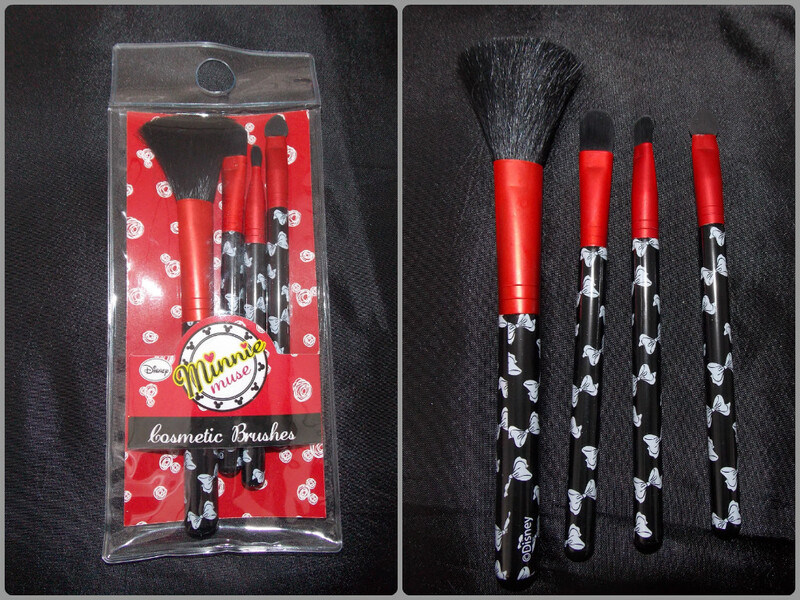 This is the first item I have to talk about, I absolutely adore these brushes and they are minnie mouse! Anything minnie mouse I have to push myself away its just so adorable! Anyways these brushes were very cheap I think at £3 from primark! When I seen them I just had to buy them, especially because they are makeup brushes. If you are like me and you love minnie mouse I suggest you buy them before they are all gone! This second item that I purchased is a small makeup bag also from primark, which I think it was £2 or £3 pounds. I am in love with this colour at the min and it is so pretty and girly, perfect for spring. I also love the gold studded detail on it so it is not too plain.I also recommend this to my followers as it is not to big or small so you can fit a lot of items into it to touch up your makeup if needed throughout the day or night. The Third well really few items I bought are all from new look. 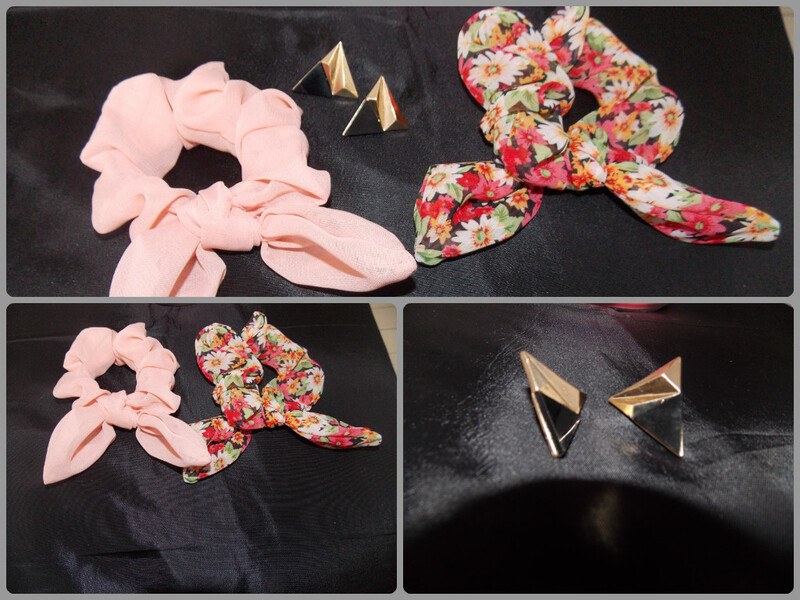 The hair bows were I think £3 and the earrings were £3.50. They are both as gorgeous as each other, the bows are perfect for spring and summer and they are seen in my hair in the last hair post I did. They are just so girly and pretty and look good with a bunch of different things :). The earrings I adore as they are not tiny studs but not too eye catching either, they are just perfect for daytime or even a night out :). The final item I purchased was a scented candle it was only £1 haha! So I thought why not plus I kind of want more candles. 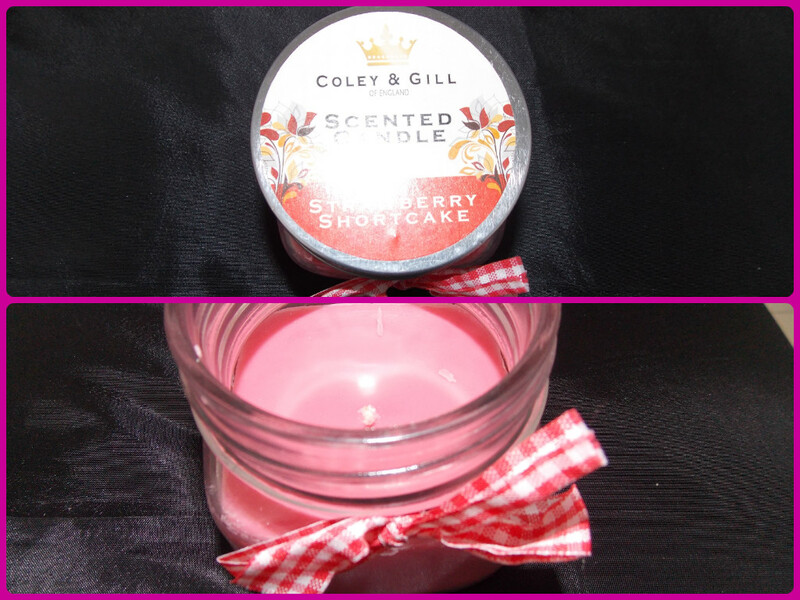 It is called strawberry shortcake and smells so sweet, so good you can practically eat it! (But please don’t). What makes it really pretty apart from its pink colour it has a cute red and white little bow as a decoration instead of a plain candle. That is all for now, I do recommend all of these items as they are so cute! If you cannot find any please leave a comment and I will try my best to help :). The minnie mouse brushes are so cute!